Wow! Let me start off by saying that they are attempting to support reviewers in more countries than any other review site I have listed! 12 in total, at time of writing. This site just launched (July 2016). Testzon reached out to me to let me know, and now you have the chance to get in on the ground floor before everyone else. Like so many sites I post here, this is so new that I do not have any experience with them yet. Let me know what your experience with them is like in the comments below. Click the button below, then look for the flag icon in the top right corner to change the site your country. Again, they are brand spanking new, so if you don’t see products listed for your country, give them some time. I’m not sure they are ready yet, there isn’t any info how to use the site yet. I’m a bit confused as to what certain things mean. Plus it’s not in English. Agreed, it is very early—they just launched this month. We need to give them some time and support by singing up. Most review sites have a chicken or the egg problem when it comes to Sellers. They expect these sites to have thousands of Reviewers at the ready on launch, and that is just not possible. I am seeing the site in English. Did you check the flag setting in the top right corner? You can ask us for a pdf guide. We explain how to use the site. We can send it by live chat on the website or mail. But keep in mind that we have an online chat (Open 12 hours by day). I can’t register. I receive the error message: “Whoops, looks like something went wrong”. I registered and verified via email but just minutes after that I was unable to log in and now the site says it does not recognize account credentials. The website needs a search deals function. I cannot search the deals to see if there’s anything I am needing that i can get for cheaper. I get the same “whoops” message. I am using a smartphone, so is it possible the site is not set up for mobile? Hope if that’s the case, they fix it soon. 😱 Mobile internet is all I have. We don’t see any problems but an update was processing yesterday. Don’t hesitate to comment if you can’t create your account. I can say that testzon works and I recieved a pair of bluetooth earphones from them for free, however im still waiting on the seller to realise that I have written a review for there item so it can be checked off the list on my testzon account. @Ethan Salmon : You should wait seller validation (for review url) or automatic validation. (A seller can only validate the link, not the review or the stars numbers). – Improvement of products search in reviewers back office (Similar to front). Some people ask us to work with testzon for their country. We are thinking about that….Stay in touch ! Thanks to the +8000 reviewers ! Thanks to the +600 sellers ! In 1 month only ! Amazing ! how do I find out what my amazon url is, to enable me to register? 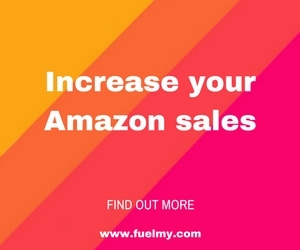 AMZ Review Trader has a great blog post about finding your Amazon Profile URL. Yes. Few people can’t review products. – Sellers let them on waiting list. Too many requests. Please contact us by chat or mail. We will help you. I’m not getting a email for conformation???? It states they sent me an email but I haven’t received one???? How long does it take to register??? I tried a few times Sunday and again today. Hello, I am no longer able to log me on the site testzon with my username. I tried to reset the MDP without success. I think that a bug affects the password change process. meanwhile it puts more possible … not login button to contact you on your pages. This is a great site – products updated daily and I was approved for review requests within 24 hours. Highly recommend this site! Thanks ! We try to do the best ! I have updated my password three times and keep getting a credentials do not match our records error message. Please advise. I got an email, a week ago indicating that someone was looking into the problem of getting the error message of credentials not matching. Haven’t heard anything back since the initial email. I changed my password, in case it was an issue of entering the wrong password, and I still get the same error message. Any ideas? Due to Amazon guidelines updates our website change. Keep in mind buyers are free to review or not on Amazon. Now Testzon become a “deal” website. Exchange hub is died ! Started off well but now every single request gets turned down. I cannot seem to log in. Even after resetting my password, I keep getting a “credentials doesn’t match” message. Is anyone else having this issue? I cannot see help section on the website. Same thing as above. Tried to sign up but never received a confirmation email. Tried to sign in but never succeeded: “These credentials do not match our records.” Dead site? BUT no one response my requests anymore. It’s a good site if you manage to deal with the legitimate sellers. I however have been scammed by sellers offering paypal refunds after I purchase the product at full price, and then they don’t refund and also withdraw the product so I don’t get the EXP points! There is no contact us page to report any seller on the site either so I cannot prevent others from the same mistake I made. I will never deal with pp refund again as there are too many dishonest sellers. If sellers are legitimate, then they will be happy to provide you with a discount code, that I have used a few times before without problems. Too many scams now refusing to give you discount code and say they can refund on PayPal then just vanish without a trace.